Let’s first talk about the shooting platform and the way I choose to attempt culling of deer with this caliber. I live in a state where you are allowed to hunt with straight walled cartages or shotguns under the 45th parallel. 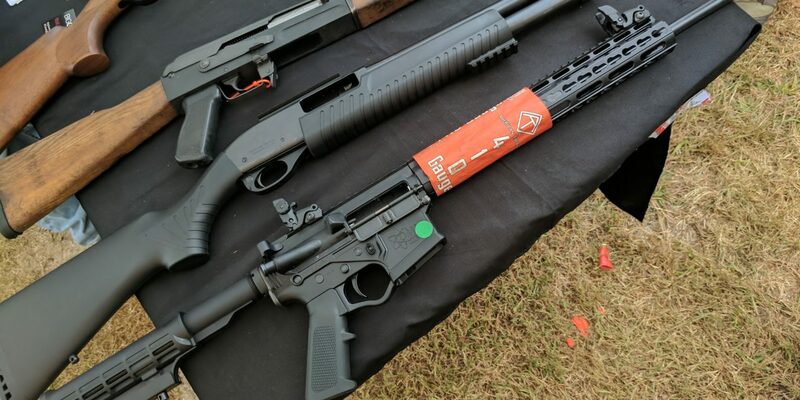 So given a chance to carry an AR platformed shotgun, that would allow me to attach any fixture or optic I want rather than a bulky shotgun that does not offer me as many options, well, I jumped at it. 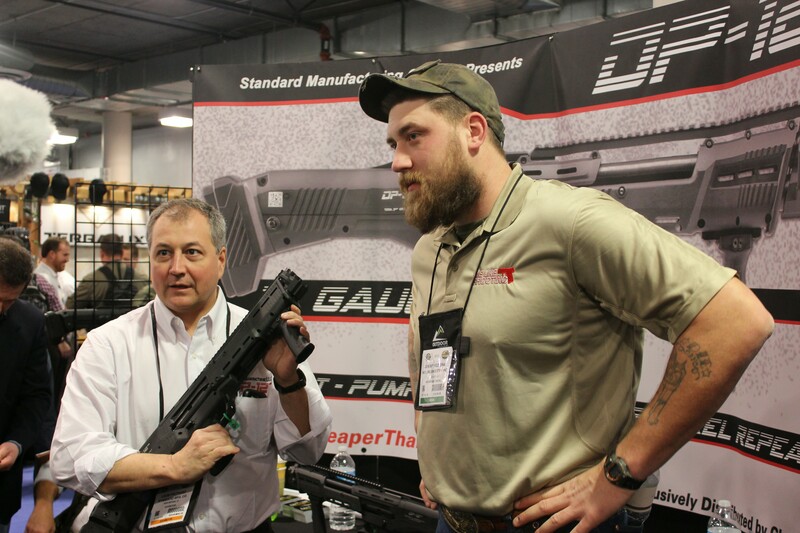 The rifle itself was the ATI OMNI HYBRID AR-15 .410GA Shotgun. 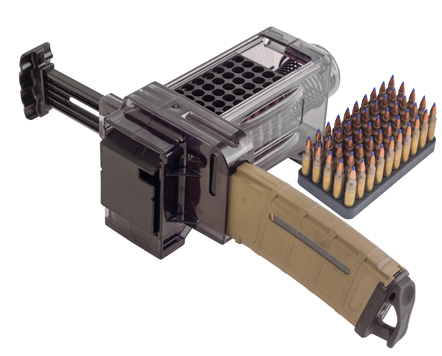 It comes with an 18.5-inch smooth bore barrel and a 13-inch keypad handguard. It takes 2 1/2 inch .410 shells and rifle comes with a 5 round magazine. 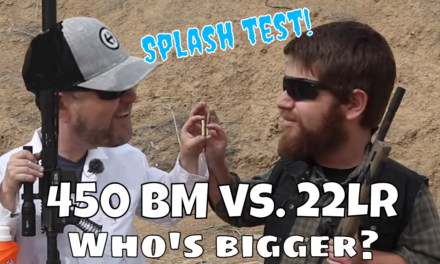 Recently I had a chance testing the grouping of .410 ammo to make the final decision whether I would be taking this into the field. I started with ATI’s factory .410 ammo and added Remington’s Slugger then finishing with some Winchester SuperX. 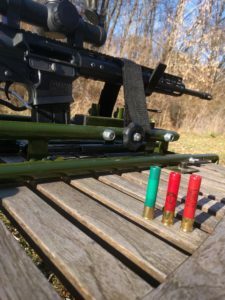 I had considered setting this up on the machine rest, letting some hydraulic energy pull the trigger for me, but I felt that shooting from a stand or prone in the field would not allow me such luxury so I to the range for some shots. 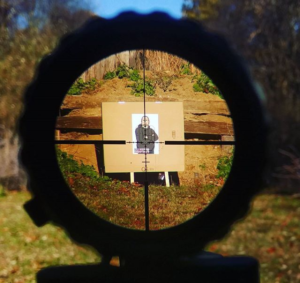 Setting up at 50 yards with a bipod from a stationary table and from a kneeling position I lined up my target through a Minox ZP8 1-8×24 more than enough glass for this little project. 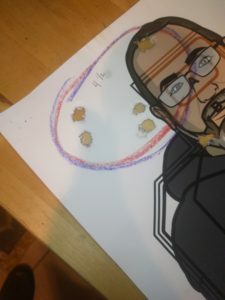 Using the WLS Aaron Target (best target ever), I started with the Winchester SuperX; the results were surprising, I had expected much better results. The Winchester had the strongest of the felt recoil out of all the ammo tested. 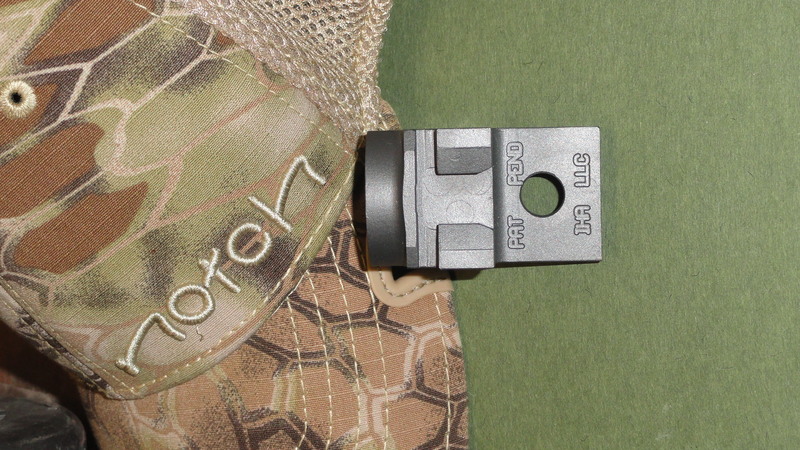 The final result of the Winchester SuperX was a 5 3/4 inch group. 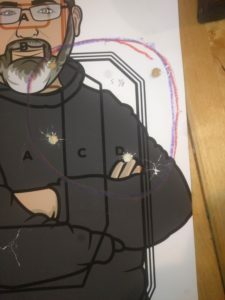 The Remington ammo was not much different in grouping size of 5 7/8 inch group, but what I found most surprising from these rounds was the amount of smoke produced after the shot. I was not sure if I had pulled the trigger and entered a chapter of Stephen Kings “The Fog.” I was not sure if I was shooting a shotgun or a muzzleloader. After the fifth round, I was happy to move on to the final round and away from these rounds that might be confused with a group of hipsters hitting their Vapes. 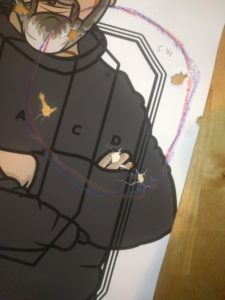 The American Tactical Imports rounds found their mark just as many times as the first two however they landed a lot closer to a 4 1/2 inch group. Hunting in Michigan can be fickle with a shot rarely going past 100 yards, the thought of a 50-yard shot using the ATI ammo would be something I would consider. Summary DEER HUNTING WITH .410 AMMO, IS IT ADVISABLE?